A few days after launching Modi app, the government introduced the Swasthya Samiksha mobile application on Thursday. Through this application, the Members of Parliament can track the women’s maternal health related issues in their constituencies. The Swasthya Samiksha app was collaboratively launched by White Ribbon Alliance, Centre for Catalysing Change & Swaniti Initiative and all not-for-profit organisations to help MP’s oversee the women’s reproductive health services. Initially, the Swasthya Samiksha app will be provided in the states such as Bihar, Rajasthan, Jharkhand and Madhya Pradesh. Currently, the application is still in experimental phase which will provide district-wise data for the respective state. “Swasthya Samiksha aims to engage and encourage the Members of Parliament to take significant steps to ensure better health for women in their constituencies. It is an attempt to provide data on health notices in an easy and convenient way,” Aparajita Gogoi, Executive Director of Centre for Catalysing Change and National Coordinator of White Ribbon Alliance India, said in a statement. 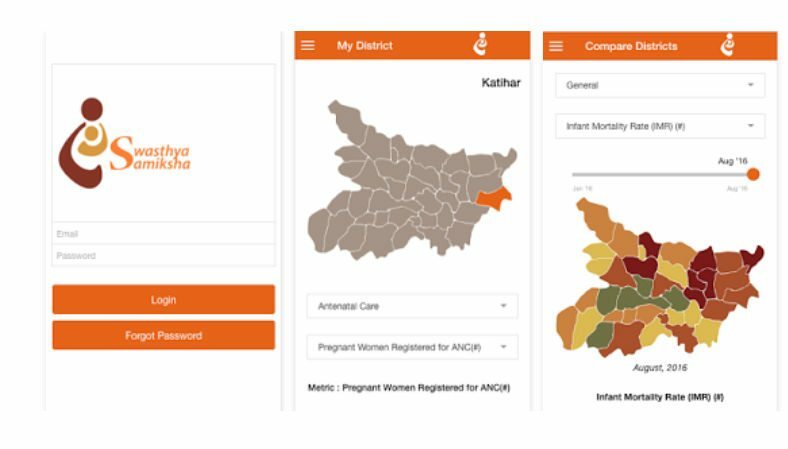 According to the reports, the Swasthya Samiksha app will address the issue of quality of maternal health services and helps to generate demand for institutional deliveries. Through this app, Members of Parliament can track their respective constituency’s reproductive and maternal health-related data and the indicators. This app also enables the comparison of districts in the state and subsequent improvement in the quality of care. It is an attempt to provide information on health indicators in a comfortable and more convenient way.